Note: The chemical specifications for some items on this product page may differ from the specifications listed above. For more information, consult the Safety Data Sheet or contact your Ward's representative. Caution: The item is corrosive, flammable and toxic. This disposal method is published for your convenience. 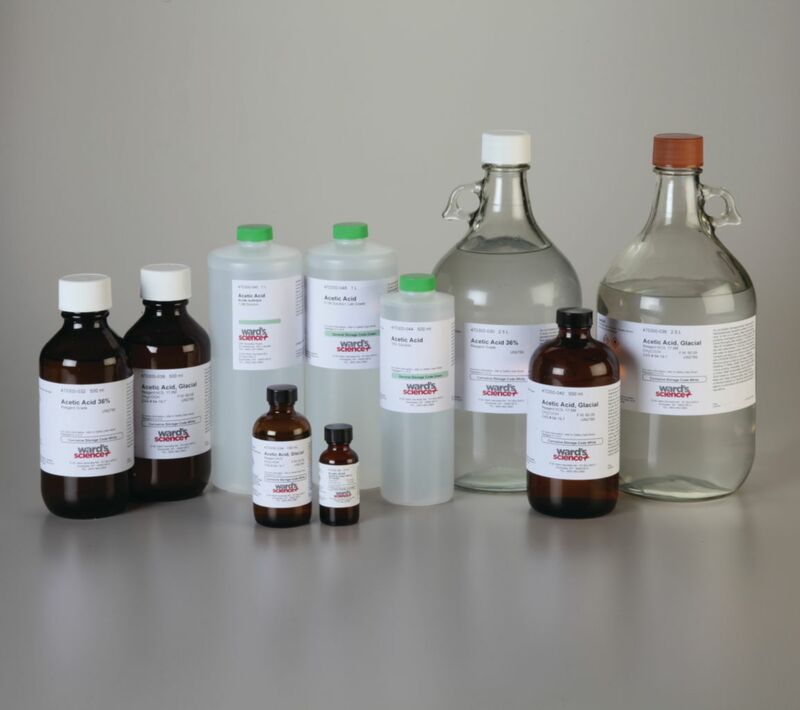 You MUST have checked with your federal, state, and local regulations before using this method and these methods are only applicable for small laboratory sized quantities. Use a lab apron, chemical resistant gloves and goggles before following the below method to dispose of hazardous waste. 1. To a large beaker, add a large volume of water in a fume hood. 2. Add the organic acid to the beaker. 3. Neutralize the mixture by adding dilute sodium hydroxide or sodium carbonate until the pH is about 7. Stir. 4. Pour the final solution down the drain with at least a 20-fold excess of water.